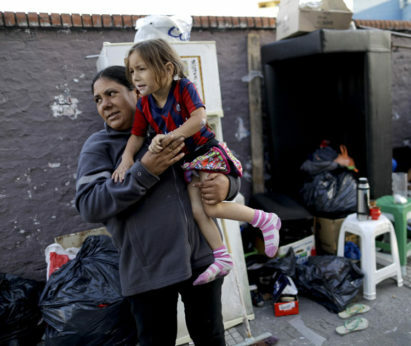 BUENOS AIRES, Argentina (AP)—A smiling two-year-old Valentina Aleman runs down a sidewalk in Buenos Aires, dodging cardboard boxes, a worn-out sofa, and a broken refrigerator without noticing the cars zooming dangerously close to her and others—risks of living on the streets. 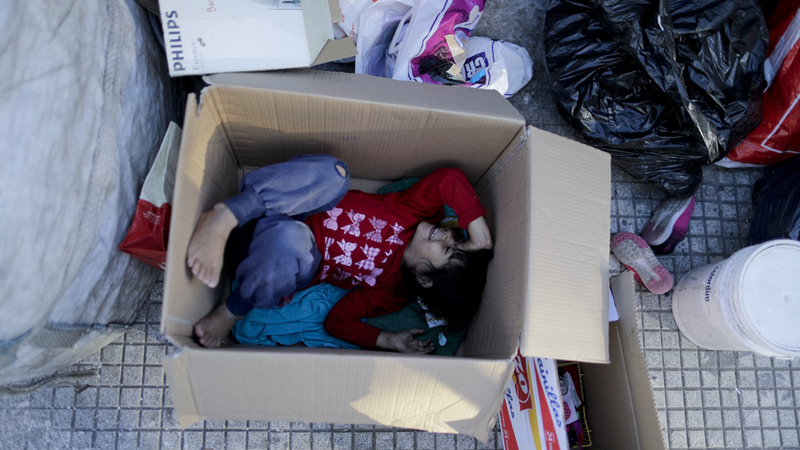 A makeshift tent of cardboard and plastic bags on the side of a busy avenue in the Argentine capital serves as shelter for the girl, her four siblings, and her parents, who sleep sharing two old mattresses laid out on the concrete. Families living on the streets outside shopping malls, bus stations, and parks have become an increasingly common sight in Buenos Aires, as an economic crisis, soaring inflation, and a spike in utility bills fueled by austerity measures have left more people unable to afford a home. The long-running crisis sharpened in 2018 when the Argentine peso lost about half its value following a run on the currency. 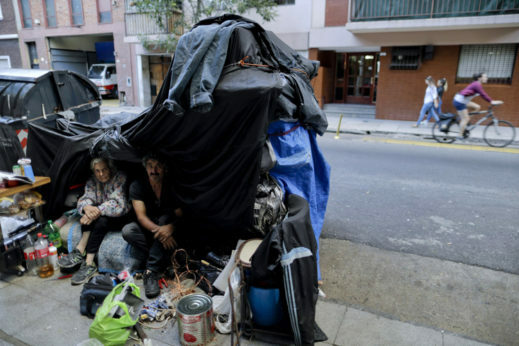 The number of people in extreme poverty in Argentina’s capital—the country’s wealthiest area—has doubled in the past three years to 6.5 percent, or about 198,000 people, according to official figures. The Buenos Aires city government has yet to release homeless numbers for the end of 2018, but local civic groups estimate the figure at around 8,000 people. Eight months ago, the Aleman family became unable to keep up with soaring utility costs. The family paid about $112 per month in rent. Their finances collapsed when they received a $246 electricity bill. Then Valentina’s father, Emilio, lost his job in a furniture factory that shut down amid the crisis. “Seven out of every 10 families see the cost of utilities as a problem for their domestic finances,” said Matias Barroetavena, director of the Center of Metropolitan Studies, a Buenos Aires-based research center. Reducing poverty is apparently still on the to-do list for Macri, who has entered the last year of his presidential term and has launched a re-election bid for October’s voting. When Macri took office in 2015, he said his administration should be judged by its ability to reduce poverty. “Zero poverty” became one of his top goals. Following last year’s devaluation of the peso, Argentina was forced to seek a record financing deal with the International Monetary Fund. 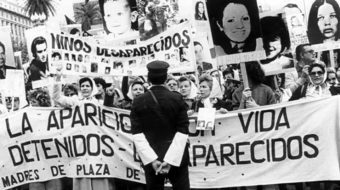 The decision brought back bad memories for Argentines who blame the IMF for introducing policies that led to the country’s worst crisis in 2001 when one in every five Argentines went unemployed and millions slid into poverty. Macri has seen his popularity ratings plunge. His predecessor, the center-left Cristina Fernandez, is tied with him in most polls, even though she faces numerous investigations into alleged corruption during her 2007-2015 administration. And it’s not only the homeless demanding beds in shelters. Residents from the suburbs are increasingly choosing to stay in the city from Monday to Friday to avoid spending on public transportation. Workers who earn the minimum wage of about $280 a month are estimated to spend 10 percent of their salaries on public transportation, according to estimates from the Buenos Aires Ombudsman’s office. The Alemans now rely on the money that Emilio gets gathering cardboard and recyclable waste, meals at soup kitchens, and on the generosity of nearby residents. Not all empathize, however. Some have called the police to remove them from the sidewalk. “When people live on the streets, they feel like they’re a waste of space like they deserve to be there. Your opinion of yourself is so low,” said Horacio Avila, a social psychologist who co-founded Project 7, which provides assistance to the homeless. Avila himself was homeless for over 10 years. “You keep laughing, you will be right next to me soon,” he sometimes tells people with a laugh. Garcia has been living on the street of a middle-class Buenos Aires’ neighborhood for four years since losing an administrative job. Nowadays, he survives by repairing home appliances or disassembling them to sell the scraps. He shares the improvised shack with 77-year-old retiree Maria Ortega. 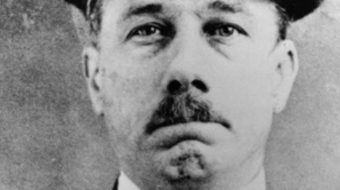 “The government provides you with the possibility of getting off the streets for five or six months. That’s not a solution,” the 57-year-old said about government housing subsidies. “At least I don’t get any bills here,” Garcia said before ducking back inside his shelter. A reporter for Associated Press writing from Buenos Aires.